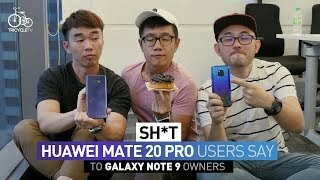 It has been almost a year since the Huawei Honor Note 8 was released back in September, 2016. Now that it’s time for the Huawei Honor Note 9 to show up, leaks and rumors are already making rounds online. As usual, we will start with the Huawei Honor Note 9 Nigeria price and then get to the specs. From what we can guess from Huawei’s pricing history, it should be around ₦ 173100 . To find out more about the specs including the Huawei Honor Note 9 release date Nigeria, keep reading. There is no change in the screen size on paper, a 6.6-inch Super AMOLED display showing 2560 x 1440 pixels resolution. However, this time it’s expected to show up with an edge-to-edge bezel less display. The display will be protected by Corning Gorilla Glass but we don’t know the exact version yet. Right out of the box, the phone will be running Android 7.0 Nougat with a touch of EMUI 5.0. 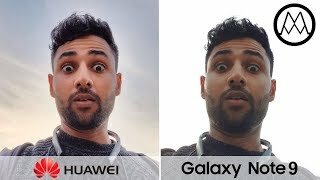 There will be three different colors to look out for after the Huawei Honor Note 9 release date Nigeria, gold, white and gray. 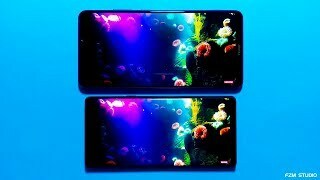 It will be interesting to see how this near bezel less display looks different from the other recently released bezel less display phones like the Xiaomi Mi Mix or Samsung Galaxy Note 8. It was only a matter of time for the Huawei Honor Note series to get a dual camera like some of its cousins. The Huawei Honor Note 9 will be packing a dual 12-megapixel rear camera OIS, dual-LED flash and other common features like HDR, panorama and face detection. Things changed for the front camera as well as now it’s an 8-megapixel front camera. There is no LED flash with the front camera which might be slightly disappointing for selfie lovers. We will be able to compare the camera with other popular camera focused phones like the OnePlus 3T and Samsung Galaxy S8 Plus after the Huawei Honor Note 9 release date Nigeria. Under the hood, the Huawei Honor Note 9 will be packing a new and powerful in-house processor: HiSilicon Kirin 965 octa-core processor. It will be paired with 6GB of RAM which is a promotion from its 4GB of RAM. There is a boost in built-in storage as well and now the options start from 64GB and is available up to 256GB. Other notable features include: 4600mAh non-removable Li-Po battery, fingerprint sensor and DTS sound. For those of you who are looking for a phone with bigger battery, there is the Asus Zenfone Max 2016. Compared to the Huawei Honor Note 8 Nigeria price, it’s surprisingly cheap. As mentioned earlier, the previous phone in this showed up in September, 2016. Following the footsteps of the Huawei Honor Note 8, the Honor Note 9 should be here sometimes in September, 2017. If you are satisfied with the Huawei Honor Note 9 Nigeria price, all you have to do is wait for the release date. 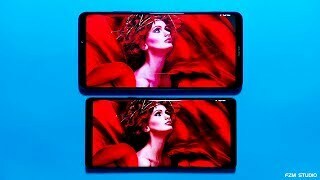 The honor note 9 Mobile Phone is manufactured by Huawei and was added around August 2017 and is part of the Huawei Honor Note 9 series.